The fastest route to more style and comfort! Windscreens are one of those products that need to be tested over time for an accurate review rather than just slapped on and reviewed. They need to go through the day-to-day and month-to-month riding conditions we all ride in to see how they truly perform and this is what Total Motorcycle set out to do with the DART flyscreen. 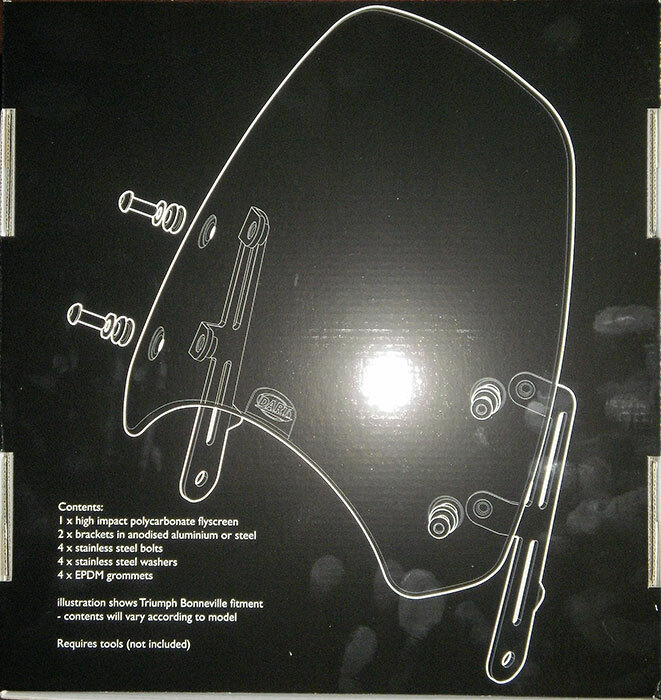 Choosing to add a windscreen to a motorcycle is a personal, practical and astetic choice. There are hundreds of different styles and price points out there to choose from. OEM or aftermarket? Sizes from flyscreen all the way up to full touring screen. Tint color, angle, material and chosing so many other factors can make the task of picking one a duanting experience. And even after you finally choose one how will it really work? Well, Total Motorcycle reviews the smallest of windscreens out there, the flyscreen. 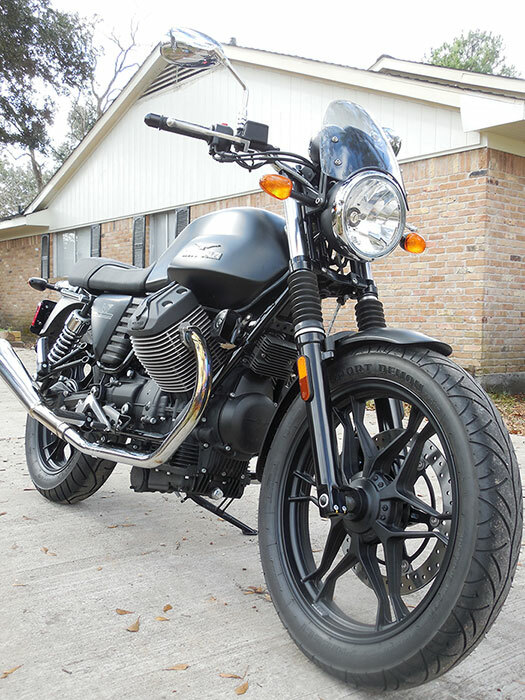 We choose the flyscreen because it was designed to blend in with the looks of the motorcycle but yet still offer some level of rider protection and comfort at an affordable price. Also unlike larger windscreens the flyscreen is largly unaffected by strong sidewinds catching the screen and thus affecting handling of your motorcycle. With the included hardware (specific to the model) and enclosed instruction book installation was quick and easy. 4 bolts, 2 brackets, 2 Allen keys, DART flyscreen and 10 minutes were are all that was required. The only small issue we came across during installation was the orientation of the brackets as they are not labeled in the book or on the brackets themselves. After sorting that out and following the clear instructions the screen was fitted. Overall the fit was impressive and looked well thought out. I was happy to find that the build and construction quality of the DART flyscreen was very high. The thickness of the polycarbonate material (high impact Makrolon – the same material used by German car manufacturers for headlight lenses) makes me believe the screen will last many years without issue. The edges of the screen were all smooth and the tint was moderately dark but not overly so. The brackets were clean from any sharp edges, cut precisely and painted black uniformity as well. Also impressive with the stainless steel fasteners which looked like custom parts rather than 25 cent types. After four months of testing we rode in cool (38°C) weather, hot (100°F) weather, light/heavy rain, light/heavy winds, highway speeds (75 mph), and in commuter traffic. All the while seeing how the DART performed under these conditions. Overall, the DART does work and does help block the wind, rain, cold and heat from the rider. As it is a small windscreen a rider can’t expect it to block 100% (or it would be a touring windscreen) but we did find the DART did block 25-50% of the elements away from the rider. The worse the conditions or faster the road speed, the closer to the 25% mark as the upward wind force on the screen wasn’t enough to push the winds/elements over the rider. For side winds and passing 18-wheelers the screen did not have any adverse effects and did not catch the gusts or move the bike in any way like some larger screens can. 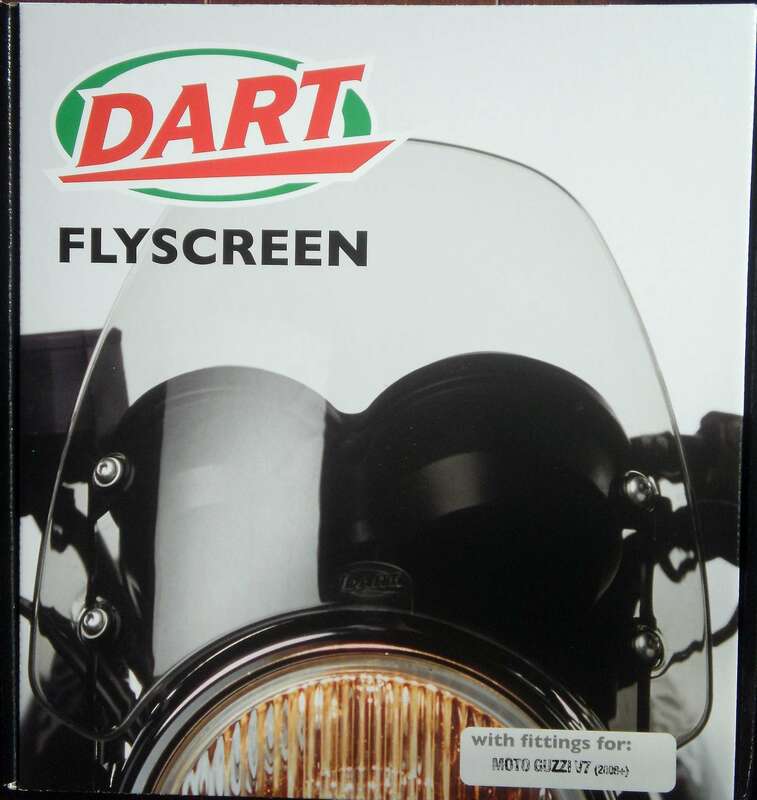 The DART flyscreen is a high quality product and looks the part too on the motorcycle. The DART blends in quite nicely and looks like an OEM part in my opinion. 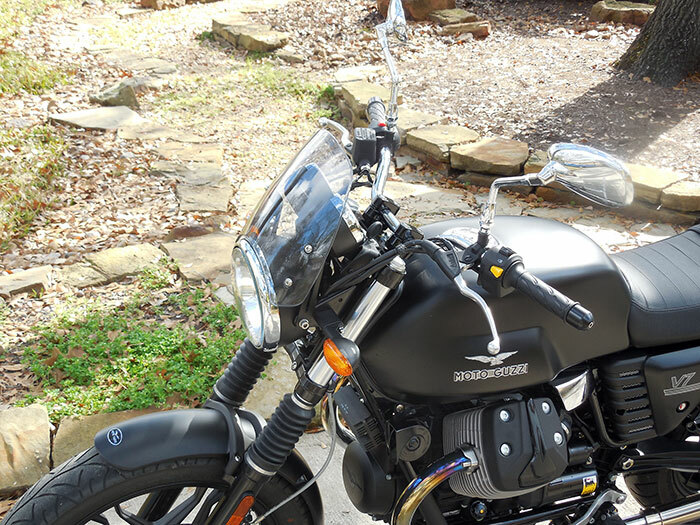 Take a look at the photos of the DART on our 2013 Moto Guzzi V7 Stone test bike and it is best to judge for yourself if you like the look or not and if you would like to have one on your motorcycle. The Moto Guzzi being a transverse V-Twin does vibrate when at idle and when idling the DART did move quite a bit back and forth. While the vibration wasn’t bad it wasn’t appealing. So after a couple days riding we came up with a plan to see if we could address the issue of the DART flyscreen vibration and visited our local hardware store. We purchased 2 flat rubber washers and put them between the DART brackets and the headlight bracket. This calmed the vibration down a little more and was a quick and cheap fix. 4. Looks like an OEM part. 2. Does not block heavy wind or rain. 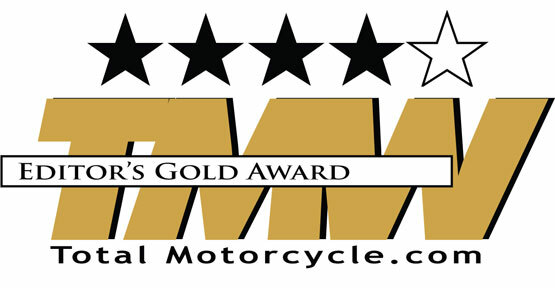 Overall, we were impressed with the mount and awarded it our coveted Total Motorcycle Editor’s Gold Award, 4 out of 5. I really like how a the manufacturer (Stephen Sleddon) came up with this idea in his garage and created a product that not only works but is priced well. It is a testament to personal ingenuity and accomplishment. Well done mate. The Moto Guzzi V7 proves that,in the real world, harmony and synergy are more important than outright performance. Apart from its sheer beauty, the appeal of this bike is that everything works so well together. It’s comfortable, agile, and easy to ride. As such, it’s a perfect bike for beginners, but that’s not to say that experienced riders won’t appreciate it too, especially on long rides. It was an easy decision to make a Dart flyscreen to suit the V7, as the two seem perfectly matched. As well as making long trips more comfortable, the flyscreen visually completes the front of the bike without detracting from those gorgeous looks. The Dart flyscreen is a perfect addition to this modern classic! Mounting brackets are aluminum, powder coated. Fits V7 Classic, Sport and Stone. Also fits 750 Breva. Only $124.95 inclusive of delivery. The original Dart flyscreen was designed and developed in 1995 specifically for the Ducati Monster series. Every year since then we’ve been improving our product and extending the range. The major innovation came in 2005, when we changed from thermoforming to injection-moulding. All the major motorcycle manufacturers use injection-moulding because it gives a superior product: for example, look at the polished bead around the screen, and the recessed areas for the fittings. 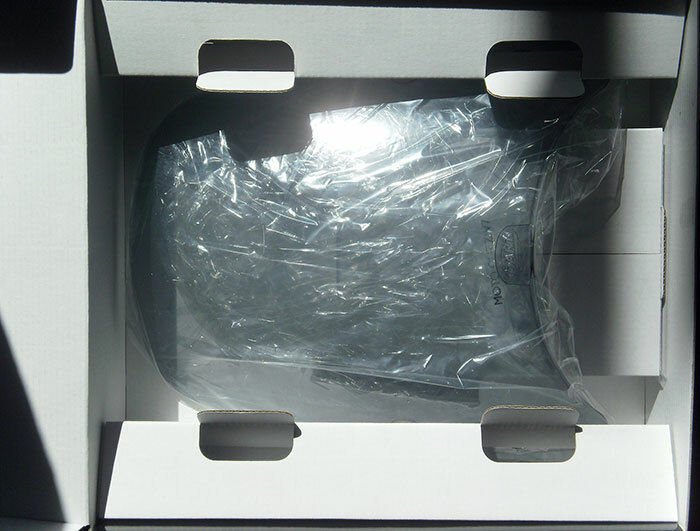 Dart is the only aftermarket screen manufacturer who use injection-moulding for all their screens. Accessories should add something to the experience of riding and owning the bike. Your bike was built to a very high standard of fit and finish, and deserves accessories that are made to the same standards. Rest assured – our flyscreen will fit the intended bike perfectly, and look like original equipment. We only use the best materials. The screen is a full 4mm thick and is made from high impact Makrolon polycarbonate – the same material used by German car manufacturers for headlight lenses. We’re convinced that it’s one of the toughest screens of its type. All our brackets are precision laser cut from aluminum alloy or steel, then CNC folded and finished. We only use top grade stainless steel fasteners. Dart flyscreens are designed and manufactured in England. “Dart Flyscreens came about because I wanted a flyscreen for my Ducati Monster. There wasn’t much available in 1995, so I decided to make my own. As it was for my bike, it had to be right – it had to fit properly, work well and look good. “To this day, I still insist that Dart products meet these criteria. “Clearly, accessories should complement the bike’s appearance. With our screens, I take this further and say they should become part of the bike – like a factory part. Why is this important? Well, the screen is always in your field of view when riding, so it’s essential that it looks like it belongs. This is why I normally buy a bike in order to design a screen fitting for it. •When you order, I’ll send you an email to thank you for your purchase and to let you know the product has been dispatched. •We carry plenty of stock so we can send out immediately – this cuts your waiting time. •I like things to be simple and clear, so our prices always include shipping, wherever you are – no extras. •If there is a problem, I’ll do my best to sort it out. Dart only has one email address and it’s my personal one, so you can be sure of getting in touch with me. Overall, we give the DART Flyscreen 4 out of 5 stars.